Edinburgh is located on the east coast of Scotland’s central belt and is the second largest city within Scotland. It is Scotland’s capital and home to the Scottish parliament. Looking at the historical development of Edinburgh, it shows a city that has grown and adapted to the needs of its occupants, often by making bold and innovative moves. The city of Edinburgh began in 1074 with the fortification of the topographical castle rock which had been home to fortifications since 900BC and is thought to be one of the longest occupied sites within Scotland. The High Street developed along the ridge of the crag and tail which the castle is located, and was developed as a street that had no roads. Only closes and wynds provided access. This was done as a means of wind management which meant the High Street became a more pleasant environment to be in. The High Street was 100 foot wide and became the living room for the city. It was here that the cities’ philosophers and intellectuals met to discuss their ideas and as such became the birth place of the Scottish Enlightenment. As the street frontage on the main thoroughfare was limited the city expanded in a herringbone pattern down the closes and wynds. Princes Street Gardens were once home to a body of water called the Nor Loch. It was created in 1460 to strengthen the castle’s defense. It began as a picturesque haven where residents of Edinburgh would boat in the summer and skate in the winter and was also a place to trial witches. Over the years it became a dumping ground for Edinburgh and the water became infested. The resulting pollution was said to give hallucinations to the residents of the Old Town. Nor Loch was eventually drained in 1759 when the city began construction of the New Town and became a garden for the residents of Edinburgh. Construction of Edinburgh’s New Town began in 1760’s and was done so because of a requirement for new housing for the residents of Edinburgh. The Old Town had become known as the slums due to their deteriorating and very cramped conditions. The city looked to the flat farm land to the north as a place to build a new town. The New Town was laid out in a simple grid iron arrangement and the buildings were constructed in a classical style which was very different to the Old Town. North Bridge was constructed to connect the Old Town to the New Town and was the only connection to the New Town until the mound became a passage as well. The mound developed as waste gathered from the construction of the New Town but soon became used as a means of connecting the old and new. Up until this stage the High Street had been somewhat of an island between the location of the New Town in the north; and the university and the meadows to the south. You had to walk up and down small closes to get access. South bridge was constructed as a means of bridging the divide to the south of the High Street. It was constructed as an inhabited bridge where the vaults that were used to construct it became home to retailers and workshops. It was once home to some of the most expensive rental land in Europe. Edinburgh’s Cockburn and Jeffery Street’s were created to provide better access from the High Street to the train station. It was seen as a bold move as it resulted in the demolition of many tenements and the loss of closes. Edinburgh can be viewed as a city with a split personality; a light and a dark side. The New Town with perfect proportions could be seen as the light side; and the Old Town with dark winding closes and streets as the dark side. Edinburgh is home to a number of myths and legends which highlight this fact. The city of Edinburgh gained UNESCO World Heritage Status in 1995 and was granted for the contrast of the antique charm of the Old Town and the formal grandeur of the New Town. UNESCO is tasked with the preservation of the Edinburgh cityscape although it would appear that it is more concerned with the preservation of the cities aesthetic look. Edinburgh has not developed this way before; it has not concerned itself with the preservation of a previous aesthetic look but has developed due to the way in which people have chosen to live their lives. which will fade nicely into the background. innovation it is famous for. 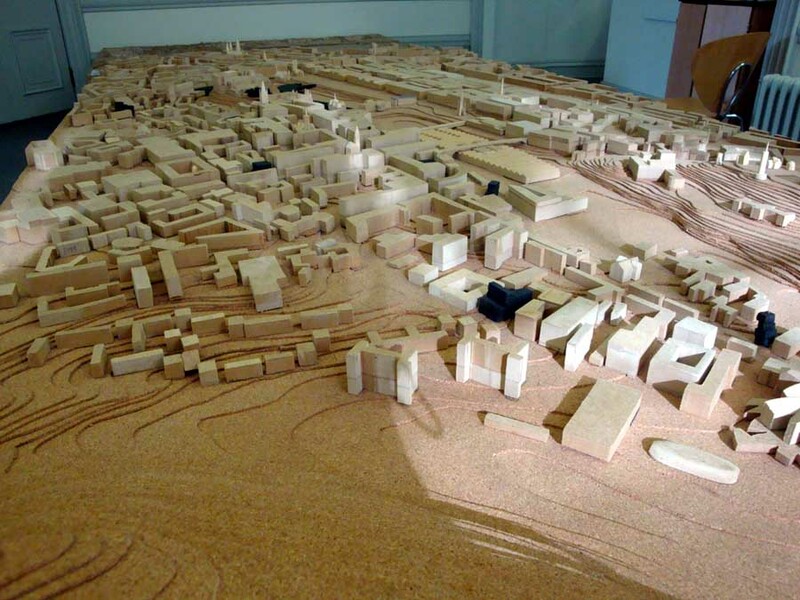 What happens to Edinburgh when the money runs out? key theme of living and trading within the city walls and even the New Town. on supermarkets based at the outskirts of cities. leaving the poor in the Old Town which soon became the slums. resulted in a largely student and irregular society. overall quality of the Royal Mile and as such prevent locals from visiting. New Towns as well as Princes Street Gardens. often functioning as nothing more than a lunch spot in peak season. the evening beyond daylight hours. inhabiting and enjoying what is theirs; Edinburgh’s open space and gardens. 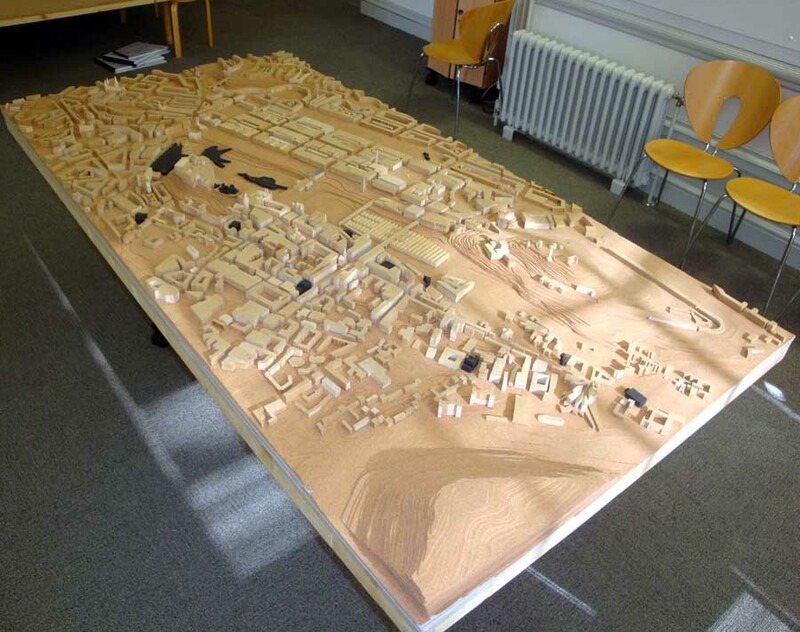 The unit will focus on Edinburgh, particularly the old town and we’ll be looking at creating significant new projects within the confines of a historic city, in this case a UNESCO World Heritage Site. The restrictions imposed by Edinburgh’s city planners and a vociferous Conservation lobby has meant that new architecture within the defined world heritage area is often bland and uninspiring, with developers following a path of least objection. Nevertheless, Edinburgh is Scotland’s capital; we all have an interest in protecting its future. It is also a living city and requires major infrastructure, transportation and cultural projects to be sustainable in the long term. It requires sustainable places for people to work and to live. We will seek to challenge the idea that in order for you to respect the built heritage of Edinburgh and the UNESCO World Heritage accreditation you must build new replicas of historic buildings. We will seek to explore and encourage highly contemporary approaches for new projects based on work done in other major European cities like Copenhagen, Madrid, Berlin or Basel. Whilst engaging with the current debate within our profession regarding new developments within Edinburgh’s historic centre, the ambition of the unit will be to use the city as an exemplar case for how new projects can be successfully integrated into any historic urban context. Last year we looked at Glasgow and projects placed within an industrial city that is undergoing a twenty-year strategic regeneration process. This year we will study a more precious built environment. The supposition of the unit will be that new projects need not be traditional in appearance + form or indeed constructed from a recognised and acceptable palette of materials in order to make a positive contribution to the quality of the urban fabric. The unit will explore attitudes to conservationism & contemporary urban regeneration through precedent, comparison and the proposition of contemporary urban architecture. 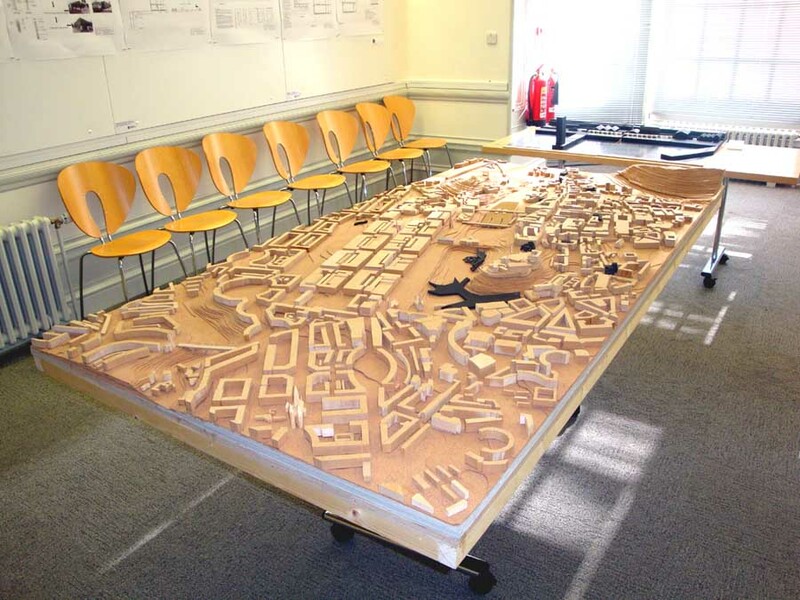 Students will carry out a detailed analysis of the historic context, becoming knowledgeable in the city development framework policies and the current design proposals for Edinburgh. They will investigate & compare design work built or being proposed in other major European cities with a similarly rich built tradition. The unit’s aim will be to highlight & contrast the nature of policy defined by a conservationist agenda and within other European contexts. The broader remit will also explore the potential removal of existing or listed structures, although a tight restriction will be placed upon students when making such proposals. Decisions on the appropriateness and quality of their proposal will ensure that whatever replaces a recognised building must be of a standard that is fitting for this rich context & makes significant improvement. This framework will be supported by their own analysis & study. Proposals will focus on new social housing, mixed use, transportation, commercial and public buildings, university, public realm and civic design. How is this placed within Scott Sutherland? The Scott Sutherland School has a reputation for producing competent designers who can offer solid practical skills and so are of benefit in a working office environment. However, we should also be encouraging students to challenge the status quo, think rationally and independently. They should be prepared to take a stand on contemporary issues, which are often highly contentious and be able to argue their case, with some rigour and based on a good intellectual grounding of study and research. It is my view that such a study will better equip students within this unit to be better architects.